Waning Phases favor to let go, review, redo, and heal energetically throughout one half of your Zodiac Pie form 25 degrees Aquarius until the third New Moon of Summer 2016 arrives coupled by a Solar Eclipse 01 September at 09 degrees Virgo. ARIES: It’s time to focus upon release where I Socialize. Opportunities to refresh and release find you placing attention upon friends, groups and your future hopes and wishes. Say yes to any unexpected invitation to get out in the world, which will offer up some unexpected ways to equally change up your approaches to life that you are meant to listen to. TAURUS: It’s time to focus upon release where I Structure. Your career and public life resets its’ recognition and rewards, as responsibilities here find conclusions to arrive at across the board. Taking some time alone to process what you truly need to reflect upon, will more than likely reveal answers you weren’t expecting to find, but are absolutely meant to follow. GEMINI: It’s time to focus upon release with what I Believe. Philosophies, beliefs, spiritual values, or learning you hold dear- ask you to seize the opportunity to reboot their synthesis. As any long journeys or travel call, connect these dots to the future. There may be some unusual ways your goals and wishes will change, especially if you get out there and socialize. CANCER: It’s time to focus upon release where I Transform. Rebirth allows you to recognize genuine wealth is not only the luxury of your overall financial picture. As conclusions now arrive from the depths of your core to let go and never look back, your career is the most directly involved as more information about your current revolution here is now revealed. LEO: It’s time to focus upon release where I Relate. Let go and reconsider who is the real deal concerning your partnerships -business or personal- and the question of who stands by you in loyalty will determine who stays. No matter what the outcome, you are meant to draw upon your beliefs to allow an unexpected turn in your higher learning process. VIRGO: It’s time to focus upon release where I Serve. Reflective and renewing light shines upon your habits, routines and service to self as well as others in this world. Take time to really listen to what no longer truly serves you, and you’ll find there is a potent rebirth connected to this which will create more core energy shifts that will surprise you. LIBRA: It’s time to focus upon release where I Create. Look to completing current projects as creative changes are now upon you, whether these be with children, brain-children or old love affairs. Your fires will be tamed in unexpected ways by those you relate to the most, so be willing to take into consideration, what they have to say implement changes. SCORPIO: It’s time to focus upon release where I Nurture. Allow your imagination flow within your home and family life, involving some literal cleaning up around the house. Déjà vu may have some important messages to reveal, so listen carefully to them, especially what speaks about your health, habits and routines to serve you and the world differently. SAGITTARIUS: It’s time to focus upon release with how I Communicate. Refreshed thinking will allow you to look at the bright side of your peace of mind. Honor reflection for your mindset- great benefits are received from writing things down. You’ll discover abrupt creative changes are abound as well, especially involving your children or brain children, so be ready for them. CAPRICORN: It’s time to focus upon release with what I Have. Surrender and fully let go of possessions and material things you no longer need to value, which may be a source of how you bring in your daily dollars. Take a good look around at your home, for there may be things here as well that you no longer need, and expect the unexpected from your family. AQUARIUS: It’s time to focus upon release with who I Am. Energy is now ready to release the old mask you have been wearing to the world, your first impressions of it and your appearance. As tired approaches to life exit, there are stimulating plenty of ideas within your mind you didn’t even know you had to play with. Listen very carefully to them. PISCES: It’s time to focus upon release where I Process. Honoring your solitude and working within allows your intuition to benefit now, be loyal to private time to heal your heart. Important messages may also arrive from your dreams. Connect the dots to reflect upon how you perceive your entire value of life, as you are asked to reinvent all that you have. 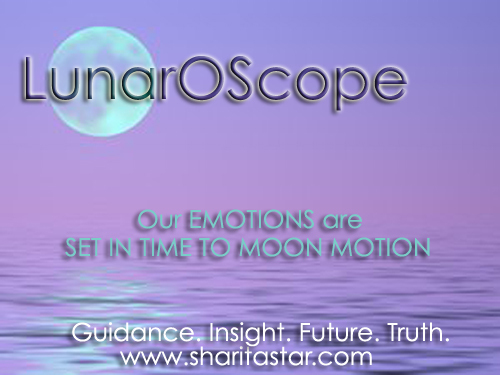 Full Moon in Aquarius, 31 July Where Will You Feel Release & Conclusions? This two-week cycle favors to let go, review, redo, reflect and heal energetically throughout one half of your Zodiac Pie until the next New Moon of 2015 arrives in Leo 14 August. Philosophies, beliefs, spiritual values, or any higher education you hold dear all have the opportunity now to reset their synthesis and break through old patterns. As a powerful mind calls for you to be loyal to it, journaling is a marvelous healing tool that keeps you on point to think well to feel good. Rebirth allows you to recognize true wealth is not only your individual financial picture, as you draw upon conclusions from the depths of your core. Information circulates surrounding your values and earning potential, calling for you to get your heart into genuine listening that brings balance into play. Let go and reconsider who is for real where your partnerships are concerned, whether business or personal. As your approaches to life continue to experience fast movement and change, allow your appearances to the world to shift as well with who is loyal enough to be able to stand next to you. Bring awareness to your habits, routines and service to physical health and others in this world that now ask for release. This reflective passage equally calls for retreat to reset your inner process, as your dreams can tell you a many splendid things you need to know about your waking world. Wrap up current projects as powerful creative changes are upon you, whether these be with children, brain-children or old love affairs. Discern the information coming in to support your future hopes and goals, as there are certain friends and groups you should listen carefully to that want you to thrive. The right time is now to honor letting go for a recharge and renewal to be seen within your home and family life, which may involve some literal cleaning. This reflection makes space for more changes in your career, as there is beneficial movement in play here that asks for you to be silent to hear it. Let go of any resistance in your thinking preventing you from owning your peace of mind. Once you honor reflection upon your communications, you will find you can believe like never before, and there is nothing you won’t do to keep aiming at the truth, which has you eager to tell the whole world about it. Focus your responsible nature upon purging and fully letting go of possessions and material things you no longer need to value. As your overall wealth makes it’s own powerful changes, this shoots the reboot to your core source energy as well, and you can feel gratitude for all that everything is worth. Energy stirs your originality up about the mask you wear to the world, your first impressions of it and your appearance. Old parts of your personality and worn out approaches to life exit, as relationships ask you to listen to them carefully, and may certainly require you to be extra patient with them. Energy releases and is under review within this half of your Zodiac Pie throughout 14 August. This Full Moon lunation calling at 07 degrees resonates strongly with the presence of Venus Retrograde in Virgo who is still on the station calling to reflect upon our relationships and our innate abilities to bring value and beauty to any situation. While they are not making any kind of direct aspect, reconsideration is intense within the Universal skies for these next couple weeks til 14 August New Moon. A lunation at 07 degrees asks us to dig even further into our emotions from this area of life and take a good look at what time in a silent listen here can do to flavor our reflections so we can heal. As our Full Moon favors release, this one is asking us to truly go within to be able to let go, allowing a subconscious journey to assist us. At 07 degrees we also must honor the channel of Neptune, which is why we have to take our privacy to access what calls to be healed, spiritually acknowledged, so our inner process assists future progress later on in our lives. While the Full Moon itself is in a weak opposition to Mercury in Leo at 16 degrees, by 10:26pm, the Waning Aquarius Moon will directly oppose Mercury at 17 degrees Leo. A tug of war may persist between Aquarius and Leo, which potentially may unfold confusion, irritation, nervousness, emotional excitability and excess worry. The antidote here will be stepping into the space of listening, engaging in some form of meditation, slowing down, to not allow your fast moving mind to get the best of you. Honoring our solitude and enjoying our own company are favored. People would be fascinated in they could learn the secrets of your deep watery Neptunian world. Your intuition and clairvoyance have great influence over your friends and family. You really know when help is needed and have an incredible calming effect on those around you. Have you heard the saying “pour oil on troubled waters?” Your very presence is the oil, the tranquility, the love, which soothes those who are troubled. Should you be experiencing the challenging face of the 7’s energetic vibration, you may feel that you want to sail off into the far distant yonder, to feel as free as a bird. You may also be anxious about your finances at the moment, or you may be suffering form a loss- a lost love, a lost project. You have a great need for security, to know the future is well taken care of. Be still, do not be fearful. Fear is the negative faith. Lift your heart up to the heavens and expect a miracle. Miracles do happen. Read on to where you can expect something to release from this area of your life, by placing proper intention and focus upon it. Remember with all Full Moons as they start another Waning Phase, this two-week time frame until our next New Moon 25 August favors review and redo. As we arrive at a New Moon in the same sign within 6 months, what is concluding now will make the ultimate space for new seeds to be planted here later on. This typically will apply to your natal charts’ advice for an even more intimate perspective, which is working directly with your Sun Sign’s LunarOScope read. Do consult a professional astrologer to determine the accurate analysis of your individual natal chart for the specific area of life where 18 degrees Aquarius is placed in your personal zodiac pie, precisely pointing to where reflection is favored and conclusions ask for you to allow them to unfold. What natal planets are placed near any 18 degree points? These areas of the life will equally receive a direct line of communication from our 18 degrees Aquarius Full Moon, asking to connect more clues as to how your reflections and releases will call loud and clear as we continue along our journey throughout 2014. ARIES: Friendships capture your attention where I Socialize, relating who is staying and who should go! Changes unfold within your groups and organizations, as well as your hopes, dreams and wishes. This will not be the time to resist the calling to bring forth regeneration and change from your core. Yes, this means break-through ways to approach life ask to be considered. TAURUS: Reflection is on within your career where I Structure, granting conclusions to emerge from your public life as current projects complete. Clear out old perceptions upon authority, as partnerships still call for your innate patience. If you feel like taking some time in solitude you’ll equally find rewards as your night-time dreams may provide unusual clues for your waking world. GEMINI: The time is now to refresh your philosophies where I Believe. Embark on spiritual journeys reflecting upon higher education and travel, physically or in your mind’s eye. Recognizing the changing ways you choose to serve your self and others opens more doors to move forward. If spur of the moment invitations to socialize come your way, say yes to them. CANCER: Shift any worry to concern surrounding securities, finances, and investments- as you take up in review of your entire core sense of how I Transform. Regeneration fully illuminates you at present, asking your creative nature to bring more stability to you. Allow this rebirth to restart you like never before to also trigger unexpected inspiration in your career and public life. LEO: Release is on in full where I Relate. Those intimate partnerships -from romantic ties to business contacts- ask for reflection of their spiritual worth. If you choose ultimatums, remember the practice of courage here. Do not resist being responsible to nurturing the home and family. Remember, your beliefs continue to take those unexpected turns, realigning you for the better. VIRGO: Opportunities to improve your health and the ways I Serve yourself and others now perfectly compliments your natural state of purity. Let go of tired habits and routines. Pets may seek your attention. Keep being responsible to restructuring how you think and communicate. This ultimately transforms you from the core of your life, so you can feel completely reborn. LIBRA: Shine in the reflective light from where I Create! Greet this excitement with confidence behind any brain-children, as adventures here complete. Watch emotional intensities with children. Restrictions lift about your earning power when you find value with your creativity. One on one relationships are able to surprise you with guidance and support to show you the way. SCORPIO: Are you already cleaning up the house Scorpio where I Nurture? Your home environment desires clearing and release, as rejuvenation equally stirs your family ties. Listen carefully for déjà vu experiences, as these messages are important. Dynamic changes call to shift your approaches to life. You’ll find abrupt ways your habits and routines can serve you better. SAGITTARIUS: Innovation and reinvention asks for mental contemplation where I Communicate for this reflective passage. Siblings or neighbors may call upon you, or an unexpected short trip. Let go of old ways of thinking by spending some necessary time alone to listen. Taking time as well where you create is able to allow more originality to find you here. CAPRICORN: You innately know about worth old Goat, and you are wise to ponder what I Have and what you value. Part with possessions weighing you down. Simply being grateful for what is, reflects a new sense of wealth. Connect with friends, groups, and hopes to bring structure to your earning power. Unexpected turns emerge in the home and family life, asking to be nurtured. 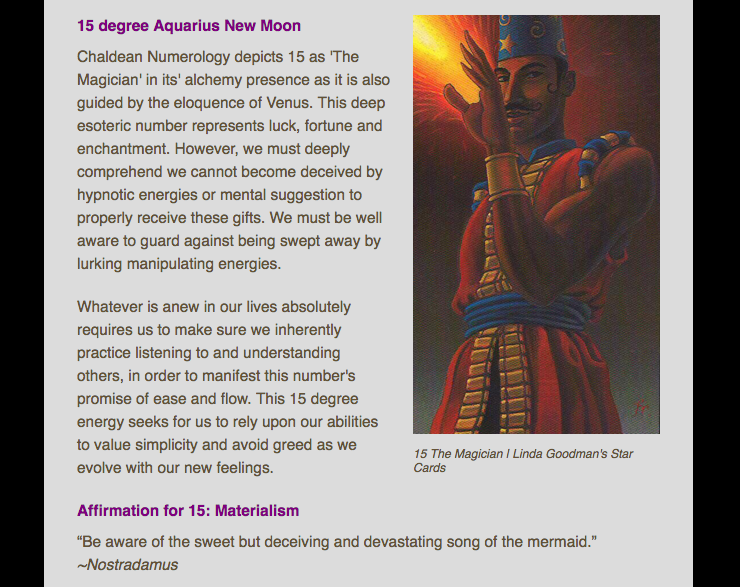 AQUARIUS: Old approaches to life now leave you Water Bearer, as the world is eager to see you differently. Original and innovative energies are ready to reinvent your impressions of who I Am. This ultimately grants solid rewards to align within your career and public life. Keep going with finding off-beat and break-through ways to be mindful with your communications. PISCES: The inner places where I Process call for your re-examination. Embrace the spiritual and subconscious realms that now ask you to swim in the reflective light of your psychic soul on this solitary trip. When you honor more responsibility to patiently reinvent your beliefs, your waters become clear. Giving gratitude to what you have, inspires ways to value life all the more. Energy releases and is under review within this half of your Zodiac Pie throughout 25 August. Moon VOC: When the Moon makes its’ last major aspect to a planet before entering the next sign, it is a recognized astrological time that strongly advises us to not be in forward motion nor make any important decisions for the future. As we welcome our second waning moon of Summer, when our Waning Aquarius Moon opposes Mercury at 20 degrees Leo we will be asked to hold off and remain in pure reflection and review until it enters Pisces. Every Full Moon casts the energy off for a completely reflective feel to be fully examined from the specific area of life it peaks within. At this 18 degree point, under a “Super Moon” we are distinctly called to further understand, how much we are meant to be recognizing the value of the spiritual side of life, letting go of material attachments that no longer serve us. As always with the 18, courage must mark our every move, even if some of the endings we are seeing challenge us with conflict. This Aquarius lunation makes a close square to Saturn at 16 degrees Scorpio, pointing to equal conclusions that are unfolding as well within The Eagle, so a different sense of structure can communicate. As we look to Uranus Retrograde at 16 degrees Aries, we find there are further contemplative messages to receive where The Ram is reviewing originality and still casting off the unexpected within our lives. The real key to navigating this Full Moon -that will expose what needs to be felt- is to remain generous in Spirit. It is critical to not give into returning any kind of aggressive behavior that may come our way from the Aquarius slice of life, as our Lunar Lady requests that we pause to reflect upon our conclusions and release here, seeking assistance and guidance from Aries and Scorpio. May we all know the finalizing energies surrounding us are paving the proper paths to let go of what is no longer necessary so we have a clear space to plant anew within later. It’s that once in a blue moon feeling, as our Lunar Lady now engages for the second month in a row, in full focus of humility within humanity’s feelings. This month’s peak of her luminous light once again brings reflection to your area of life that loves to improve upon all it can within the task of what The Water Bearer’s presence here is asked to do. On a very trusting degree point of Aquarius from above, we can all expect a call down here below to take this request and grasp one more heartfelt opportunity for release within our Aquarius piece of the Zodiac Pie for the next two weeks throughout 05 September. If people around you come off over these days as seeming a slight detached, please do not take too much offense. When progressive forces are around, it is only logical to take some time off from intimacy. The capacity to engage within ingenious thinking is equally strongly felt. Instincts are known to be quite well-developed under an Aquarian Moon. So, if some unconventional and independent personalities display themselves to you over this lunar passage that will ask you to trust more from your heart space, you’ll know why. They should, however, still be friendly to you! As our Lunar Lady peaks within The Water Bearer, it is an appropriate time within our summer’s heat to truly take more pause within our vacation modes and think about what is worn out where we express our originality to the world. When our Full Moon shows itself once again in the resourceful energies of Aquarius -the sign that brings new life to everything- basking in reinvention is rewarding. As another waning moon begins, visualize letting go as the Moon will travel from 28 degrees Aquarius to where 13 degrees Virgo’s energy falls within the birth chart, as this half of your Zodiac Pie is ready for a reflecting emotional feel to come into play throughout 05 September. Moon VOC are passages that occur at various times all month long, beginning when the Moon makes its’ last major aspect to a planet before entering the next sign. In essence, it is a recognized time that advises us to not take up in forward motion nor important decisions for the future. As we welcome our third waning moon of summer, when our Full Aquarius Moon opposes our Sun at 28 degrees Aquarius, an even deeper request to remain in retreat mode and review is still favored until it enters Pisces 21 August. Allowing Chaldean Numerology to assist us further in knowing more ways to guide our energy properly, tells us this is indeed a once in a blue moon opportunity to assimilate a better understanding of how we trust. Perhaps we have placed it in the wrongs hands recently. Trust is an important ingredient for our healthy emotional lives, and this lunation calls for us to take time to reflect upon the very relationship our heart has to it. Lunar-O-Scope 20 Aug 13 Where Will You Feel Release and Conclusions? The simplicity of knowing your sun sign is all you need to take full advantage of what this lunation means for you. Remember if you know your Rising Sign (Ascendant), read that passage too for a deeper look, for it typically will apply to your personal charts’ advice from the natal perspective. However, it is wise to consult a professional astrologer to read the accurate analysis of your individual natal chart for the precise area of life where 28 degrees Aquarius affects your personal zodiac pie. Those in full awareness of their natal birth chart will wish to check any planetary placements that are placed near 28 degrees, for these areas of the life will receive a channel as well asking to connect more clues as to how letting go will call loud and clear. Both the sun sign and rising sign views are the two areas of your life that call for you to bring forth release and conclusions within the next two weeks to follow. Properly embracing letting go until the next New Moon upon 05 September will make the appropriate space for the new to be planted later. Aries: Friendships once again take your attention where I Socialize, and if something is still waiting to go here, now is the time! As you have already understood what changes have wished to occur within your organizations, old dreams and hopes, it’s the final cut time. The new creative work has loads of communication surrounding it now. Be sure to accept another unexpected invitation to get out in the world for it is sure to show you another reconnection you’ll enjoy. Taurus: Re-workings continue to emerge in the career where I Structure, so if you still have some dead branches and tired out roots in your public life, pull them off now. Conclusions really wrap up around a current project, and that difference you’ve felt with responsibility relating to authority, becomes all the more intense. The new changes where you nurture have loads of messages to relate to you, so be all open ears so you can pay attention, especially if it’s déjà vu. Gemini: Your mind continues to think about the reflective state surrounding your philosophies where I Believe. More yearnings for a spiritual journey within your idealisms, higher education ask for travel, be that physically or in your mind’s eye. Long voyages call for you to make plans or still remember one which fuels your learning more. The mental refresh you’ve been having really begins to balance itself, so you can unite plenty and find some calm in your heart. Cancer: This is the last time to find concern surrounding your securities, finances, and investments, as the final review of your entire core sense of how I Transform now complete. As more regeneration fully illuminates you at present, this rebirth promises to restart you like never before, making room for total spark in how you sexuality perceive it all. That jump start your earning power just received adds even more value now as more movement surrounds it. Leo: Another request for further release where I Relate is examining who you really trust in those intimate partnerships, from the romantic ties to business contacts. Keep asking what purpose do they all hold in your life. Your heart may be heavy if you choose ultimatums, so it is best to remain in a dull roar upon your stage. While loads of “if it is new it is for you” has been equally allowing you to shine, the pace now gets quicker as more communications surrounds it. Virgo: You are thrilled with another opportunity to improve your health and the ways I Serve in life Dear Virgins, this is your natural state of living anyway. Guard against too much perfection seeking here. Whatever habit still lingers you no longer trust, it’s only logical to release it now. Pets seek your attention. The time you’ve been able to spend in solitude and tap into those dreams, has profound inner messages to convey when you listen carefully to what you love. Libra: All the world’s seeking your balanced stage Libra, and you still shine upon it now where I Create! Greet more excitement and confidence behind any brain-children, as completions reign. Be extra playful, enjoy some socializing, or throw a party, but only invite who you trust. Emotional intensities surround over children. Continue to talk more with the groups and circle of friends you are a part of, these have more helpful information for you if you don’t resist them. Scorpio: If you didn’t clean up well enough around the house Scorpio where I Nurture last month, you’ve got more to do. Your home environment desires to transform you now, as rejuvenation and regeneration equally stirs your family ties. Look out again for those déjà vu experiences, these messages are important, especially about your trusting instinct. Your career and public life has enjoyed some sort of boost, and this continues with more good news to share. Sagittarius: Aim those thoughts to send more arrows off to innovate and reinvent where I Communicate Archer. Your siblings or neighbors call upon you, or another unexpected short trip. Further higher education and idealism revisions carry on, which may tell you more about a long trip about to come up or something you are about to learn. The final letting go of the old ways of thinking and recognizing that those thoughts are not to be trusted, has your new beliefs smiling. Capricorn: Being you are the innate knower about worth old Goat, the mood asks again to take stock of what I Have and what you value. Reflect upon your sense of security, and try more originality on to improve upon it. Part with more possessions. Being grateful for what is should have brought on a new sense of wealth, and now more movement comes from the core. It’s time to put faith and trust into what you honor beyond the material, which makes you feel just as rich. Aquarius: Cast off another old approach Water Bearer, as there is still an old mask that is out of date. Your original and innovative energies reinvent a few more things involving how the world sees you as I Am. Engage in further self-focus and attention to your image, even if you feel you don’t want to get too intimate. The new people you have started to relate to one on one, get super chatty with you now, and you’ll find, you have what it takes to understand them too. Pisces: Dear Fishes, inner places where I Process call for another dive into re-examination. Continue to break-through and embrace the spiritual and subconscious realms that ask for you to swim in the cleansing light of your psychic soul. This should be one more solitary trip. As you have recently received clues about how to serve your world and routines better, look for more useful information that relates to these new habits so your waters are cleaner than ever before. As our Sun has just arrived moments earlier to center stage in Leo, our Lunar Lady now engages in the opposing focus of finding humility in humanity’s feelings. This month’s peak of her luminous light brings reflection to the sign that loves to improve upon all it can within the task of what The Water Bearer is here to do. On the very tipping point of Aquarius, we can all expect an extremely inventive and innovative energy to transform within our Aquarius piece of the Zodiac Pie for the next two weeks through 06 August. Detached feelings are apt to swirl around in the air, but please do not take too much offense. When progressive forces are around, it is only logical to take some time off from intimacy. The capacity to engage within ingenious thoughts becomes the collective feel. Instincts are known to be quite well-developed under an Aquarian Moon. So, if some unconventional and independent personalities display themselves to you over this lunar passage that will ask you for release from your heart space, you’ll know why. They should, however, still be friendly to you! As our Lunar Lady peaks within The Water Bearer, it is the opportune time within our summer’s heat to truly take further pause within our vacation modes and think about what is worn out within how we bring our originality to the world. As our Full Moon shows itself in the resourceful energies of Aquarius -the sign that brings new life to everything- reward is found in the basking of our prophecies. Because this lunation hits the 0 degree tipping point- avoiding the “lunacy” that typically stereotypes a Full Moon, knowing and owning there is something profoundly regenerating allows us to let it go. Moon VOC is the passage in where the Moon makes its’ last major aspect to a planet before entering the next sign. In essence, it is a time that is well advised to not take up in forward motion nor important decisions for the future. As we welcome our second waning moon of summer, when our Full Aquarius Moon sextiles Uranus Retrograde at 12 degrees Aries, a deeper request to remain in reflection and review is still favored until it enters Pisces. In as much as we all just experienced the wild ride of Mercury Retrograde who is just getting off the station in Cancer going Direct on 20 July, once more we are best to continue to dive into further review from the Aquarian slice of life as this waning phase begins. What makes this waning phase more intense is the Shadow of the recent MRx, which concludes by 04 August. So all you witnessed the alterations under our Messengers calling for review, has the proper time to readjust and iron out the kinks. A close square comes in from Saturn at 04 degrees Scorpio, still technically coming off his station point from being Retrograde all through the late winter and spring. We will want to examine the tension that may display between The Eagle, The Lion and The Water Bearer within the life. Ideally, there is a calling for a new foundation asking to be built -so if you remain in resistance to this rather than patiently understand what it wishes to say- life will find all sorts of lessons to throw our way until we “get it.” There is a new awakening upon our EARTH in motion, and it comes from the releasing of what no longer works within the HEART, to allow us to transform all the easier, no matter how much the TRUTH may HURT at first. For the true astrology buffs, be sure to check the Aquarius House, in particular where the 0 degree Aquarius spot in your natal birth chart lives. (A natal birth chart is determined from the time of birth, which allows a more in-depth look to equally see where some pondering is ideally meant to unfold in how the planets uniquely affect you.) Whether the collective or individual vantage point, this is the area of life that calls for you to bring forth release and conclusions within the next two weeks to follow. Properly embracing letting go until the next New Moon upon 06 August will make the appropriate space for the new to be planted later. Aries: Friendships take your attention where I Socialize, of who is staying and who should go! You are asked to ponder over the changes that wish to occur within your organizations, as well as old dreams and hopes. Allow the structure coming from your deepest sense of transformation to assist here. New creative work will soon be on the way. Be sure to accept that unexpected invitation to get out in the world for it is sure to show you a reconnection you’ll enjoy. Taurus: Re-workings emerge in the career where I Structure, so that patient wait for change now releases some dead branches and cleans up your tired out roots in your public life. Conclusions form around a current project, and expect to turn onto a different route of responsibility relating to authority, which is what your partnerships in life are responsibly teaching you. Remember, new changes where you nurture will soon happen for the right reasons. Gemini: Not that your mind doesn’t have enough to think about, a reflective state surrounds your philosophies where I Believe. Let loose and embark on a spiritual journey within your idealisms, higher education and travel, be that physically or in your mind’s eye. A long voyage calls for you to make plans or remember one. Your way of serving the world may seem stagnant, but, you’re about to realize how much this will bring a complete mental refresh, so think well. Cancer: If you’ve been worried about your securities, finances, and investments, now is an ideal time to take up in review of your entire core sense of how I Transform. As regeneration fully illuminates you at present, know time spent with children or creative adventures will bring more stability to you. If you allow the rebirth to restart you like never before, this makes room for total spark in how you sexuality perceive it all, and your earning power will soon get a jump start. Leo: You’re about to receive a pleasant gift from the Moon for further release where I Relate. Those intimate partnerships -from the romantic ties to business contacts- ask what purpose do they all hold in your life? Your heart may be heavy if you choose ultimatums, so it is best to remain quiet upon your stage. Assistance will come from the home and family if you recognize how much you need this nurturing, for there is loads of “if it is new it is for you” on the way. Virgo: You are thrilled with this opportunity to improve your health and the ways I Serve in life Dear Virgins: the perfect compliment to your natural state of living anyway. You’ve been looking to let go of a tired habit, and you’ll have no fuss in releasing it now. Pets seek your attention. With all the amazing learning and stability that wants to restructure your thinking, it’ll be the time you spend in solitude and tap into those dreams that allows you to listen more carefully. Libra: All the world’s a stage Libra, but you shine upon it now where I Create! Greet the excitement and confidence behind any brain-children, as completion arrives. Be extra playful, and enjoy some socializing, maybe even something you host. Watch emotional intensities with your children. If you’ve been feeling restricted about the earning power, look to the groups and circle of friends you are a part of, these are soon able to help you if you don’t resist them. Scorpio: Feeling that it’s time to clean up the house Scorpio where I Nurture? Rearrangements within your home environment desire to transform you now, as rejuvenation equally stirs your family ties. Be on the look out for those déjà vu experiences, these messages are important. While life is definitely on sense of delay and required patience, once this waning phase completes, you can expect good news to arrive where you enjoy your career and public life. Sagittarius: Aiming those thoughts to send off your arrow to innovate and reinvent where I Communicate Archer, is the right target. Your siblings or neighbors call upon you, or an unexpected short trip. Further higher education and idealism revisions carry on, which may tell you of a long trip about to come up. You’ll hear the exact way you should be letting go of the old ways of thinking if you stop resisting spending some necessary time all by yourself to listen. Capricorn: You are one who innately knows about worth old Goat, and the mood asks to take stock of what I Have and what you value. Reflect upon your sense of security, and try something original to improve it. You may part with possessions. Being grateful for what is, will bring a new sense of wealth to you shortly. Adhering to the call of being a part of a new organization or circle of friends helps here, but you are learning which ones you do have that are not worth it to you. Aquarius: Cast off an old approach Water Bearer, as an old mask you’ve been wearing is out of date. Your original and innovative energies anxiously wait to reinvent a few things involving how the world sees you as I Am. Engage in self-focus and attention to your image, even if you feel you don’t want to get too intimate. This ultimately desires to make structure from the career, which is about to receive some interesting answers from the people you relate to one on one. Pisces: Dear Fishes, inner places where I Process call for a re-examination. Break-through and embrace the spiritual and subconscious realms that ask to swim in the cleansing light of your psychic soul. It’s doubtful you’ll want company on this solitary trip. Energy comes in that passes along clues about how to soon serve the world and your routines better. However, if you forget to honor the responsibility of patiently reinventing your beliefs, you remain in stagnant water.